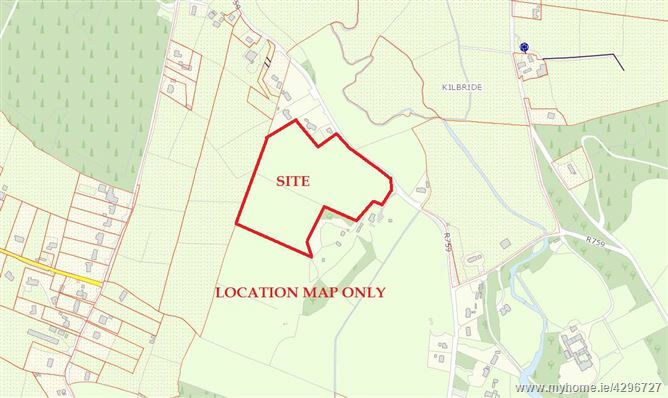 Land c. 13.24 acres/5.36 hectares., of top quality land surrounded by mature trees. 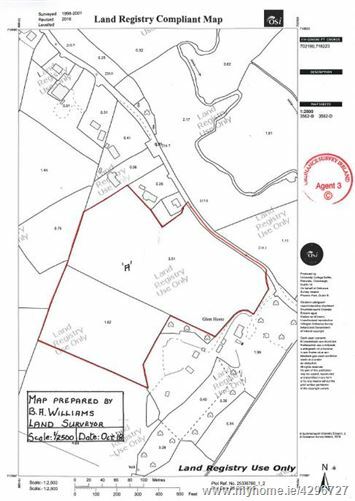 Laid out in two large fields with extensive road frontage and exceptional views, an ideal site for a superior residence subject to receiving the necessary planning consent. 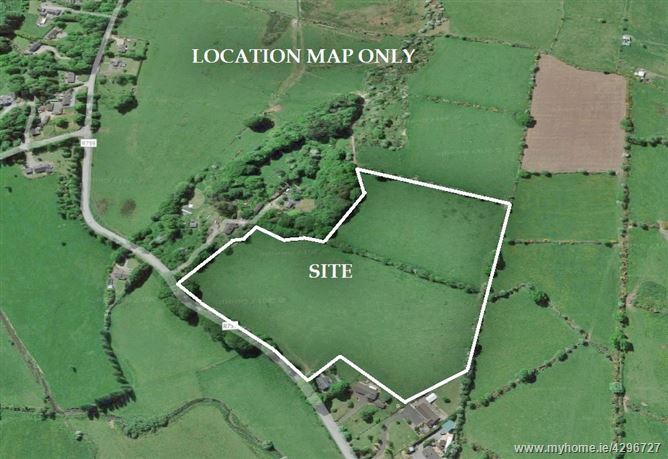 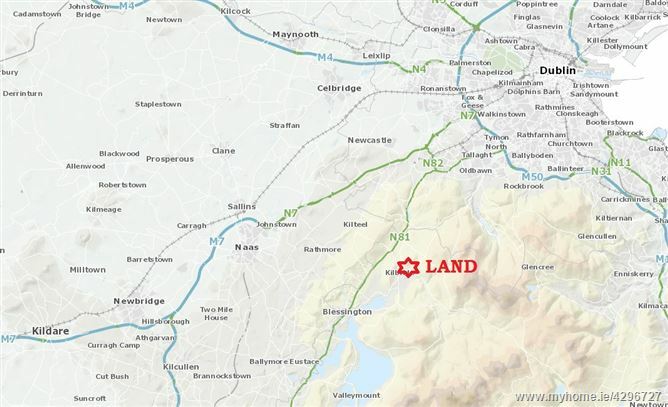 Situated close to the village of Manor Kilbride just off the N81 c. 16 miles South of Dublin and c. 4 miles from Blessington.